It’s a delight to take part in Jacqui Murray’s Blog Hop for her latest novel, ‘Survival of the Fittest’! Her previous books have taken us from the modern subterranean world of nuclear submarines and terrorism to an era over 1.8 million years ago at the very start of mankind’s development. ‘Survival of the Fittest’ is set 850,000 years ago and centres around five tribes with one leader as they face a treacherous journey across three continents in search of a new home. As with all fiction writing, there is often an overlay of fact but with a book set so far back in time one wonders how much is artistic license, how much can be based on true fact? I put this question to Jacqui with regard to one angle in the book. Finally, below is the beginning of ‘Survival of the Fittest’ and I as read the whole chapter kindly forwarded by Jacqui I found myself hooked! The story is thoroughly captivating and I was drawn immediately into Xhosa’s world, feeling her pain, fears, her strength! The writing is superb, taut, fast-paced whilst not rushed and the upcoming themes and plot lines are clearly outlined! Will you be as tempted by this extract as I was … a copy of the book is now on my kindle and I can’t wait to read it! Purchase links are below. I am delighted to be part of Jacqui Murray’s book launch of her latest exciting thriller, Twenty-Four Days. It is only nine months since Jacqui Murray released her first book, To Hunt a Sub, which I featured here…Twenty-four Days promises to be an even more intense and thrilling read. Some familiar characters return in this sequel novel including the ever popular albeit quirky Otto, a sentient artificial intelligence robot. Along with its handler, Kali Delamagente and brilliant scientist, Zeke Rowe, the unlikely team becomes America’s only chance to stop a terrorist attack that threatens the nation. First here is some information about the book itself before Jacqui kindly answers some questions that came to my mind whilst reading this and the sample first chapter. ‘World-renowned paleoanthropologist, Dr. Zeke Rowe is surprised when a friend from his SEAL past shows up in his Columbia lab and asks for help: Two submarines have been hijacked and Rowe might be the only man who can find them. To the interview – Jacqui’s answers are in italic. Firstly, I am interested in the research you must have undertaken for this book? It is technically, scientifically and militarily detailed. What did your research entail? Do you have a background in the Navy/submarines/AIs? Have you any personal experience of submarines? I have been onboard a submarine, but (of course) couldn’t visit many of the parts I had to describe because they are classified. For that sort of info, I turned to working submariners. They shared what they could without crossing the security line. I also did a ton of Googling under the assumption that if I could come up with it in a Google search, it probably wasn’t classified. Any time I worried I might step over the line of revealing secret details, I stepped back, either obfuscated or deleted. This was true not only for those few sub scenes, but the many cruiser scenes. Next, I’m interested in your writing process? What is it like writing a fiction book as opposed to your factual tech books? Did you write it whilst still editing the first one? How long did it take you to write this? My first effort at fiction (called Born in a Treacherous Time–it will come out next year–it has been a long long process) was inspired as an effort to humanize dry facts. I wanted to present real-world events in a way people would enjoy rather than a textbook which tends toward the pedantic. So, I used fiction’s traits of developing characters, story arc, and crises-resolution. This is typical in historic fiction and creative non-fiction, but I didn’t know that when I started twenty-five years ago. I am a devotee of that approach now. This book is the sequel to To Hunt a Sub. When I finished that book, I sent out query letters, waited, got nibbles and waited some more. To keep myself busy, I wrote Twenty-four Days. I finished it before the query process for the first book ended. That’s frightening to think about. When I went through the same slow, tedious process (which included acquiring and losing an agent) for Twenty-four Days, I decided I’d prefer to self-publish. The material in Twenty-four Days (a partnership between North Korea and Iran, a North Korean nuclear weapon, and an attack on a US warship by North Korea) is somewhat time-sensitive and spot on for today’s geopolitical events–I didn’t want to miss that opportunity! Following a discussion with another blogger, do you prefer to write straight on the computer or in longhand first? Do you think it makes a difference? I have rheumatoid arthritis so I definitely must type. I’m looking to the day when I’ll replace typing with speaking. Anyone out there write their book entirely with vocal commands? I’d love to hear how that goes. How do you find the editing process? Did you write many drafts first? I like the editing process. I probably read through the entire book a dozen times, to be sure of flow, pacing, that sort of stuff, but in between, I edit in chunks. I find it very effective to have my editing software (I use Autocrit) identify pieces they have a problem with and then dig into it to fix it. There will be thousands of those–too many passive sentences, repeated words, or any number of other reasons. 99% of the time, after I’ve fixed these and then reread the entire draft, I am much happier with the story. I was wondering if this book can be read as a stand-alone or best after To Hunt a Sub? Are you planning a sequel to Twenty-four Days? Are you working on any other fiction book? It is a stand-alone though I’ve peppered in details from the prior book where needed. I am planning the sequel. I want to feature Otto (the sentient AI) more centrally and move away from warships and submarines. I’ll know more in a few months! I’m also working on a spin-off series that revolves around the ancient female Lucy who appeared several times in To Hunt a Sub. Her story of resilience, strength, and pain is motivating. This will be historic fiction rather than thriller. The first is titled Born in a Treacherous Time and is due June, 2018. With reference to the title – Is there any particular significance of 24 days? The story starts with the good guys having only 24 days to save the world. Typical thriller fashion, innit? I count down the days as the reader moves through the book, to build drama and keep the action centered. What is the hardest part of self-publishing? Are there any elements in indie publishing that were easier than you originally thought? The hardest part of self-publishing is believing I’m worthy. When an agent knocks on your virtual door and says they want to represent you, that tells you you’re a good writer, You’re worthy of being published. It’s difficult to do it without that cheerleader, to put my work out there because I believe in it (and my husband–he always believed in me). The easiest part of self-publishing is the second book. Once I built a template for how to do it, all I had to do was replicate it for the second book. That’s not to say it wasn’t frightening, time-consuming, and stressful. But I did have a model to follow that worked once before. That made a big difference. 'Obeid was stunned. His gut said Run! He risked his future—his life—staying a moment longer with this crazed zealot, but Obeid did little more than croak a strangled, “If I succeed, I will also die!” His University friends called it a Sophie’s Choice. Across the yard, limned against the grey sky, towered the domed shape of the HMS Triumph, its deck slick with rain, sail glistening in the early morning light. The warheads it carried could reach the vast majority of the planet but the bustling sailors, some in oil-stained uniforms, others nattily dressed in white with jaunty officer caps, greeted each other, oblivious to the danger approaching them in the uniform of shipmates. “Keep going,” the scar-faced Kenyan hissed between clenched teeth. The wait is over! The publication of what has for me been an eagerly awaited book is now available – ‘To Hunt a Sub’ by Jacqui Murray. As Jacqui slowly started to give us an inkling about her first fiction book I was hooked. She reeled me when I read the summary. An accomplished writer, Jacqui captured me with a sample chapter. Here is just a taster excerpt. Enjoy…and remember you can read buy the book now! Jacqui Murray is the author of the popular Building a Midshipman, the story of her daughter’s journey from high school to United States Naval Academy. She is the author/editor of over a hundred books on integrating tech into education, adjunct professor of technology in education, webmaster for four blogs, an Amazon Vine Voice book reviewer, a columnist for TeachHUB, Editorial Review Board member for Journal for Computing Teachers, monthly contributor to Today’s Author and a freelance journalist on tech ed topics. You can find her books at her publisher’s website, Structured Learning. To Hunt a Sub is available to buy on Amazon. 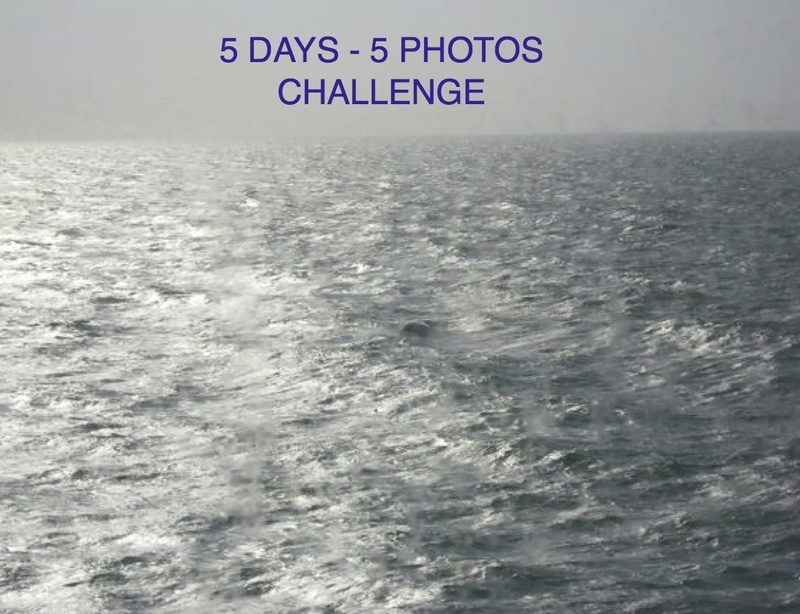 I have been kindly nominated by Dorne from https://dorneawhale.wordpress.com to take part in the 5-Photos – 5 – Days Challenge. Is this nature’s greeting to us all? 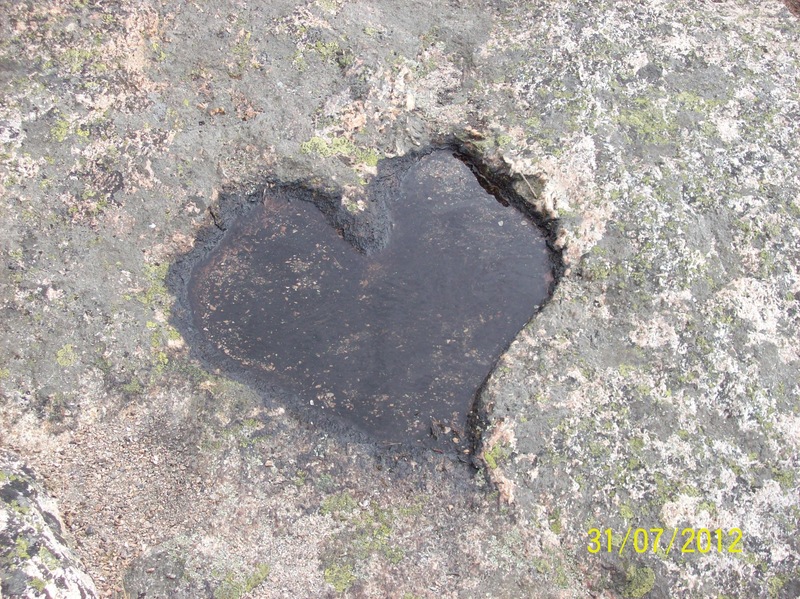 Chiselled by wind and rain into a perfect granite heart? Whilst dry its form lays invisible, latent even, then soon the tempest rages across the islands, the darkness presses to the ground. Torrents of rain water streams down the rocks, filling the small rock pools and crevices alike. As the deluge continues thunder cracks in the sky and its bellows reverberate ferociously around the stone caverns. Dawn glistens over the sea, peace restored and the rowan trees drip with refreshing delight as the sun scorches the ground dry. Warm to the touch the granite hums with life, as if to say, ‘Look, this is what I feel. This. Look. My Heart. My Love’. Many thanks to Dorne for suggesting me for this challenge. 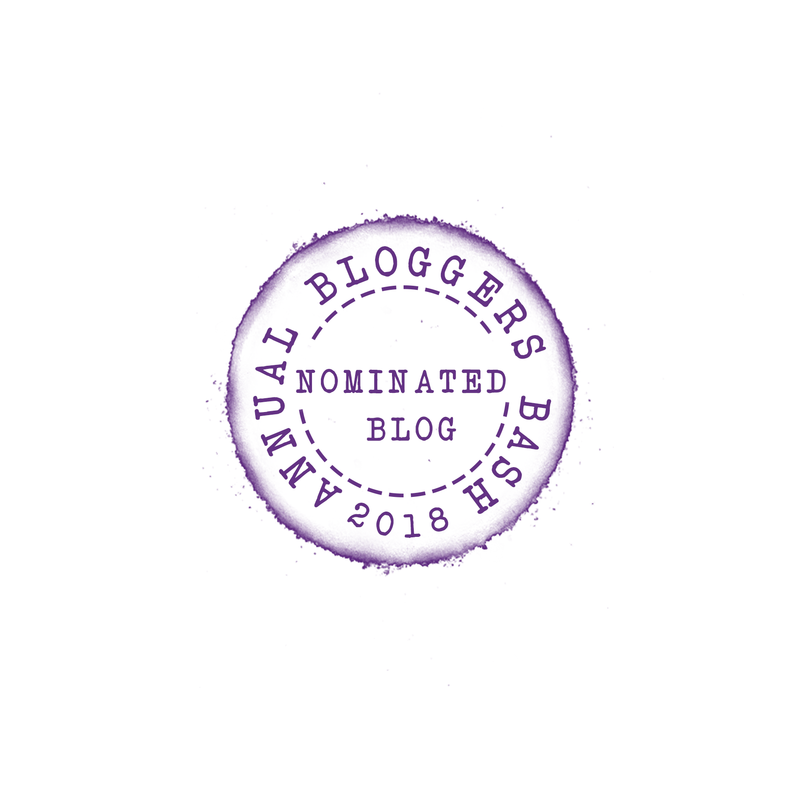 I would like to nominate Jacqui Murray at https://worddreams.wordpress.com if she would like to carry on this challenge. I hope she enjoys it as much as I am and look forward to seeing her photographs / writing posts!